I originally wrote this piece on March 13th, 2019 for my application to the 2019 World Nomads Travel Writing Scholarship — hence the capital i’s 😉 I’m crossposting it here with some photos, which weren’t included in the original submission. Back on the road, I broke into tears — again. That’s what I asked myself, copiously crying while pedaling away from Tania, Natasha, and Valia. This meaningful event took place in the otherwise inconspicuous town of Kiliya, located half-the-way between the better-known Izmail and Vylkove on the Ukrainian segment of the Danube Delta. 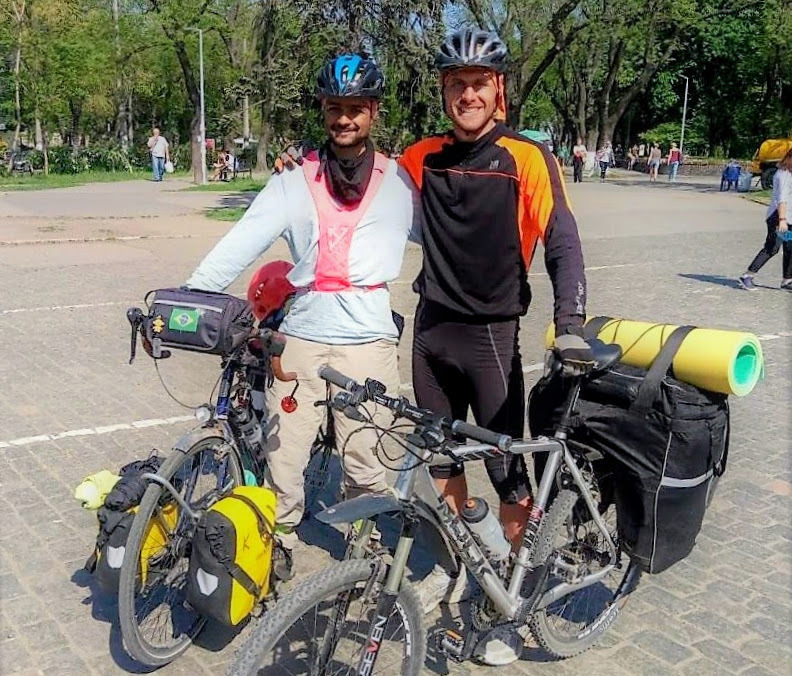 I was a little over a month into a cycle tour that had started in Serbia, taking me along the Danube through Romania and into Ukraine. The tour would continue for another four months around Eastern Europe and Scandinavia. I was traveling alone. Or was I? Saying goodbye started getting difficult a few weeks before at a gas station in Romania where I had stopped to borrow the Internet. On my way out, I noticed the owner Martin shed a tear. 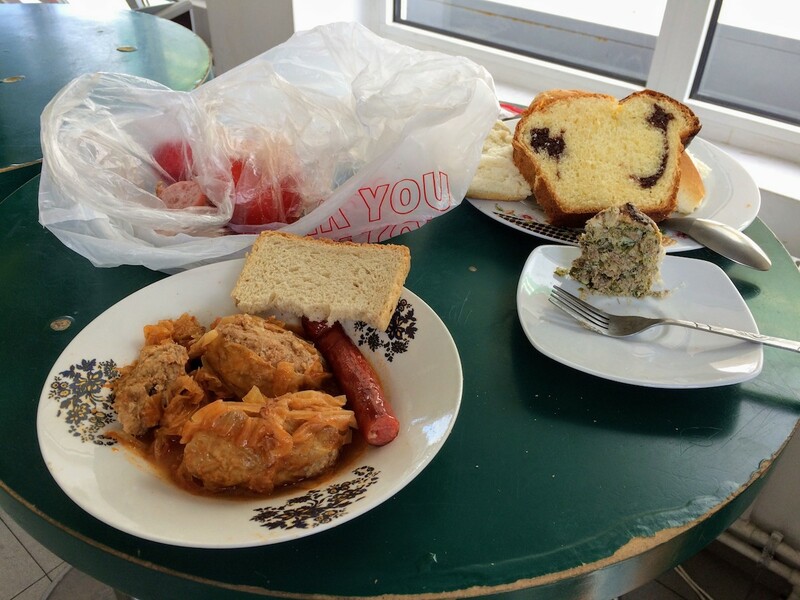 for the half-an-hour or so i was there, they kept offering me leftovers from their recent Easter celebration a couple of days before — sarmale, drob, cozonac, . . .
That watered my own eyes. I was only able to hold it for long enough to get out of Martin, and his brother Florin’s sight and then surrendered to the first weeping episode of the series leading to the peak one in Kiliya. 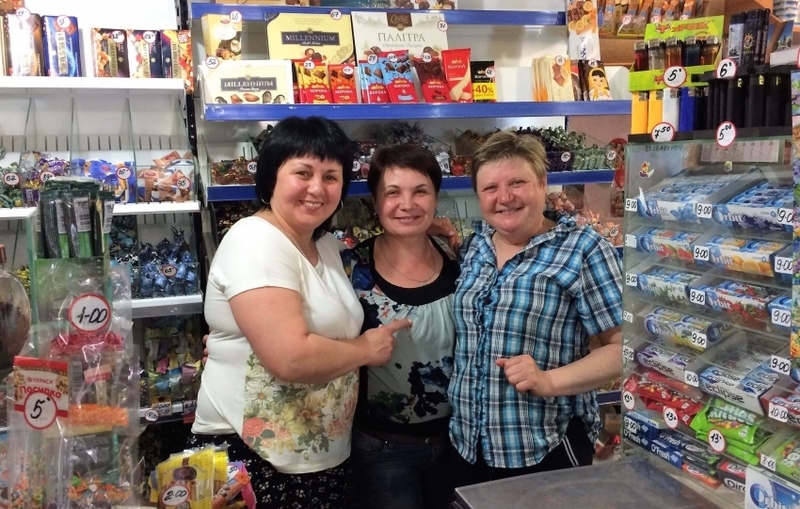 I had entered the shop where I met Tania, Natasha, and Valia only to buy bread. But I couldn’t contain their excitement. And it built further up as I explained that I was a traveler originally from Brazil, cycling my way across Eastern Europe, with the loose goal of eventually reaching North Cape, in Norway. As I was leaving, it hit me hard that I might never see any of the countless people I meet along my way ever again. I felt lonely and insecure. I naively wanted all those seeds to develop into lasting connections. A little later, I ran into a large group of cycle travelers on holiday. 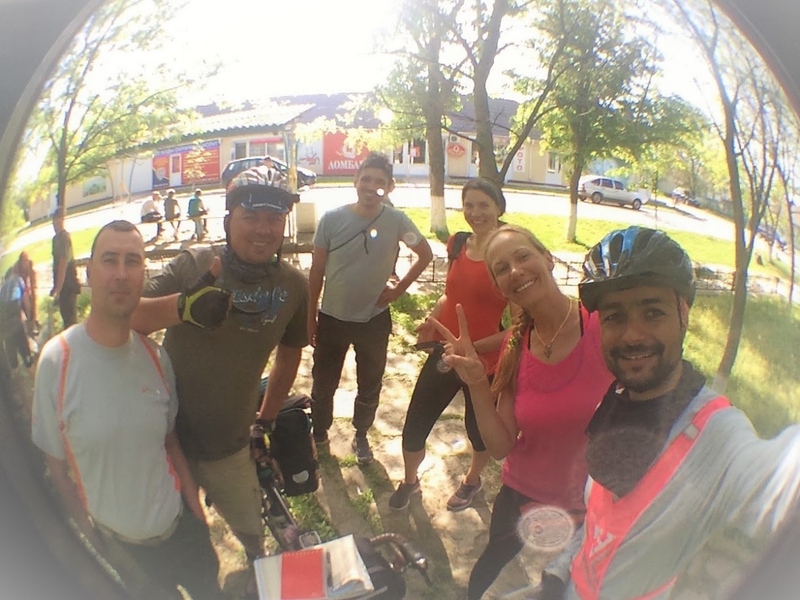 As usual, I stopped to share some bike-touring camaraderie. 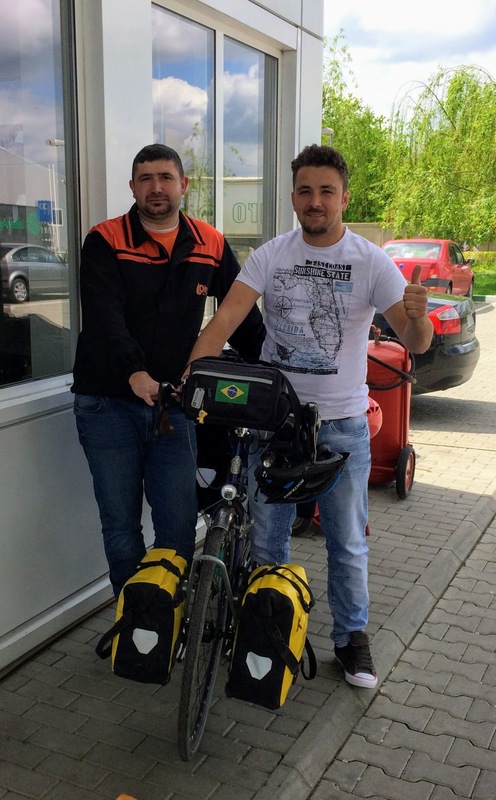 They were traveling in the opposite direction towards Izmail, starting from Odessa. We traded information about our respective roads ahead, took some photos, exchanged a few hugs, and wished each other a happy ride. They gave me the map they didn’t need anymore, which I later passed down to another traveler when I didn’t need it either. I don’t know if they did. But that’s what I decided to ask every party of bike travelers I met riding in the opposite direction during those few days between Izmail and Odessa. 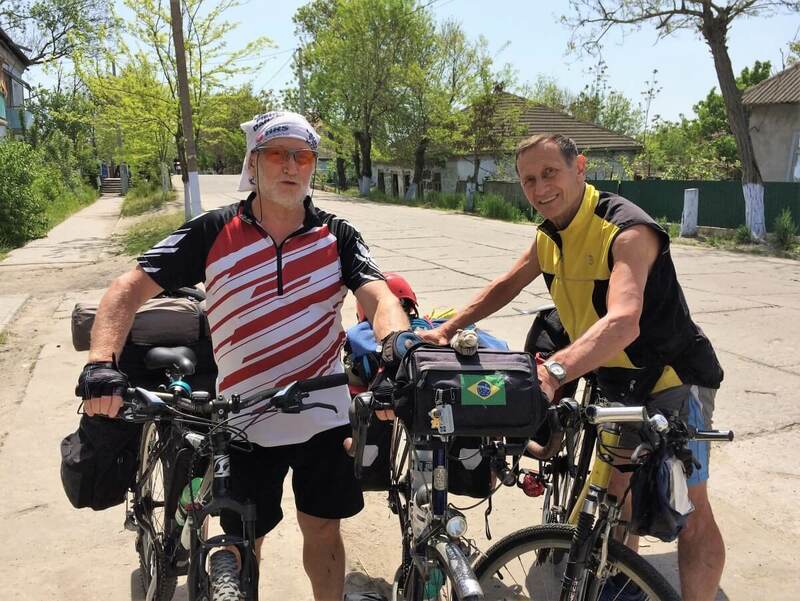 This scenic ride along the Ukrainian side of the Danube River and the Black Sea turned out to be a popular cycling holiday destination for Ukrainians. That’s what “Brazil” sounds like in Slavic languages. But how could he have known? His name was Zhenya, and it turns out he had been to Mahazyn Kashtan a day after me. The owner showed him photos of my cycle-touring rig, which he recognized by the distinct yellow and red panniers. Whether or not the other riders were heeding my request to visit the ladies in Kiliya, I felt like our brief encounter had not been insignificant to them either. 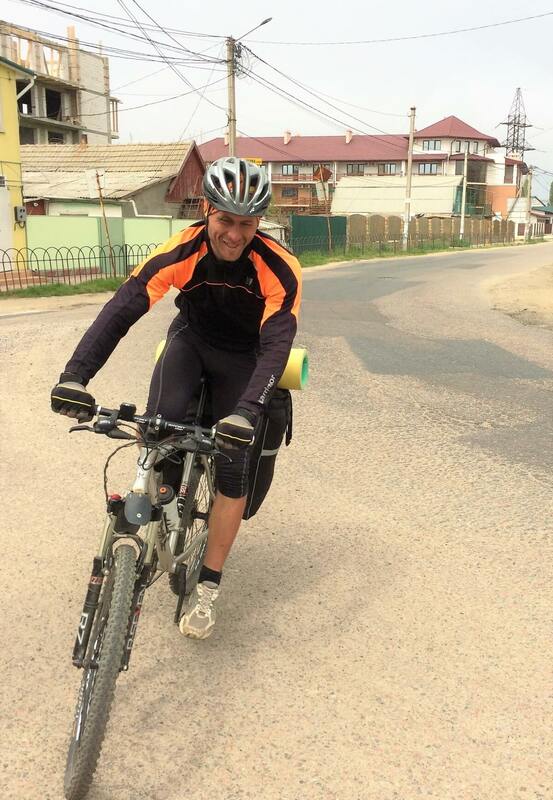 When Zhenya caught up with me, we were 60km away from Odessa. We agreed to ride those together. We parted ways shortly after our arrival — I wanted a hot shower at my host’s in the city, and he wanted one last cold dip in the Black Sea before catching a train back home. The overarching journey is ultimately mine. But it can still be shared with others whenever and for however long it intersects with theirs. I travel solo, not alone. And I’ll cry if I have to. I’ve cryed with your beautiful text. Thanks, my son!